Ham Radio Outlet provides a number of easy ways for you to place an order. Ham Radio Outlet is a national chain consisting of fourteen (14) locations including an Ecommerce web presence. Each store location has significant display showroom space to provide our customers with a hands-on opportunity to see our products throughout the United States and to serve you in the best fashion possible. We welcome you to visit any of our retail locations and order in person. You will find the experienced sales staff helpful in product selection and configuration. All stores have the most current products on display for your review. So, if you are near the local area, or planning a trip, please stop in as we would like to meet you. Our Store hours are from 10am until 5:30pm local time. The telephone is the most common method of placing an order at Ham Radio Outlet. Dial one of our toll-free 800 numbers and talk to a salesperson that will help you place an order. This is the most expedient way of determining pricing and availability of your desired product(s). To place a phone order using a credit card, contact one of our store locations throughout the United States. We will ask for your call sign (if any), credit card number, and will gather both your shipping and billing addresses. We may require some additional information possibly the name, address, and telephone number of the bank listed on your charge card statement if you happen to be a first-time caller or have not made a recent purchase from Ham Radio Outlet. Our current telephone hours of operation are from 9:30am until 5:30pm. You early birds on the West Coast or the after dinner crowd in the East can place your order outside of normal local time business hours and know that it will be handled expeditiously and to your satisfaction. You have told us and we have listened! Our website is simply the best in the industry for ease of use allowing for quick navigation and displaying vast information on every product Ham Radio Outlet offers. You will find detailed descriptions with options and accessories on every listed item we sell. Enhanced with a Point of Sale database integration tool, Ham Radio Outlet will provide up to the minute pricing and availability as well as current manufacturer discounts. This up to the minute control is a first in the ham radio industry as we have coupled our integrated web solution with a simplified and secure checkout system that will make shopping with Ham Radio Outlet a simple and satisfying experience. Ham Radio Outlet is proud to accept Visa®, MasterCard®, Discover®, American Express® and PayPal® as acceptable forms of payment when placing internet orders. Orders may be placed via the US Postal Service. We encourage you to use our internet presence to aid in determining accurate complete pricing including any applicable sales tax and or shipping charges. Our web presence will calculate these for you when adding your specific items to our on-line shopping cart. You may also contact one of our multiple store locations and let us determine the pricing plus applicable shipping and sales tax for your specific order. Upon getting a complete total, you would then mail a money order or check to any one of our multiple store locations and we would process the order quickly and get your items on the way. USPS or other official verifiable money orders are accepted and Ham Radio Outlet can immediately ship the ordered product. We accept Visa®, MasterCard®, Discover® and American Express® credit/debit cards. Please note that many debit cards have a daily expenditure limit. This limit may be less than the funds available in your account. Please call your bank and notify them of your pending purchase so that funds are available. When using a credit card, we will need specific information, including you actual credi card number, CVV2 code and possibly the name of the issuing bank. If the card holders BILLING address differs from the shipping address, please be sure to specify both addresses and telephone numbers. For your protection, we thoroughly investigate the validity of all credit card purchases. Personal checks are also gladly accepted however, processing time will delay shipment by 10 business days. 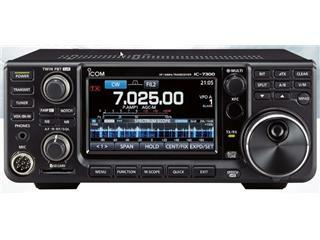 PayPal® can be used for orders placed via the Ham Radio Outlet Ecommerce web site only. COD service is available only in the USA, via United Parcel Service (UPS). COD payments must be made via Cashier's Check or Money Order at the time of delivery. At this time [subject to change], there is an additional of $15.00 fee per box for COD shipments. Written purchase orders will be accepted from City, State, and Federal Agencies. Commercial organizations that have received prior credit approval from Ham Radio Outlet may also submit written purchase orders. 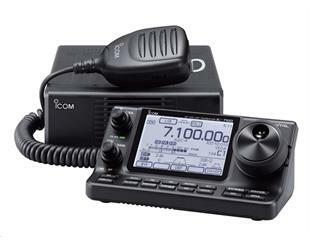 Ham Radio Outlet purchase orders require payment on or before the terms defined on the purchase order if accepted by Ham Radio Outlet. You may find a surcharge for credit terms applied to your pricing. Please indicate that you require terms when calling for price quotes. Ham Radio Outlet collects, remits, and reports sales tax in accordance with all state and local requirements. For more information please visit our sales tax FAQ Page. For domestic United States orders, items are typically shipped via UPS ground from the closest store to your location. If you find it necessary to expedite shipments, UPS has Red Label(overnight), Blue Label (2nd-day) and Orange Label (3 day) services available at an extra cost. Please request charges for these services at the time you place your order. For customers in Alaska or Hawaii, most items can be shipped by UPS standard service, as well as some of the expedited services such as "Blue" or "Red". Please contact your local Ham Radio Outlet store for these additional charges. On day of delivery please be sure to have enough help, and the proper equipment on hand for the unloading of the merchandise. Truck drivers are NOT required to provide any unloading assistance. If you are not experienced at handling large awkward items such as towers, antennas or amplifiers, please obtain properly trained people to assist you. We ship World-Wide. Contact our stores, preferably by fax, with your needs. We can give you quotes and details for placing your foreign order. Payment methods include wire transfer direct to our bank or a check drawn in US funds from a US bank. Shipments are made (depending on size) by USPS Global Express Mail, UPS or other international carrier depending upon rates. Some orders to some foreign countries cannot be insured to full value. If the item is obviously damaged, note this with the driver and refuse the shipment. 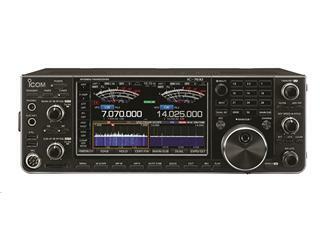 This item will be returned to Ham Radio Outlet and another item will be sent at no additional charge. If hidden damage is noted, contact UPS as soon as possible. They will pick up the damaged item from your location. 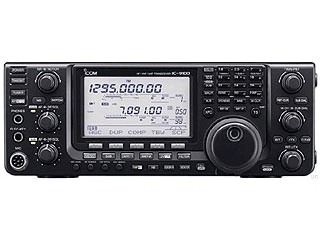 Once the item is received by Ham Radio Outlet, a replacement will be sent at no additional charge. If there is damage or the shipment is short, it is the customer's responsibility to file the claim with the trucking company. At the time of receipt of the item it is highly recommended that you have the driver write "damaged" or indicate "shortage" on the bill of lading provided by the driver. Be sure to have the same notation as well as driver's signature on his copy also. It is the customer's responsibility to file all loss or damage claims with the U.S. Postal Service. Most prices shown in our catalog are suggested list price. In most cases we offer large discounts. Equipment manufacturers constantly change prices, offering specials and rebates or may react to global currency fluctuations by adjusting the price of the many of our catalog items. Simply call one of our 800 numbers and our staff will be happy to quote you the current selling price of the item you are interested in. 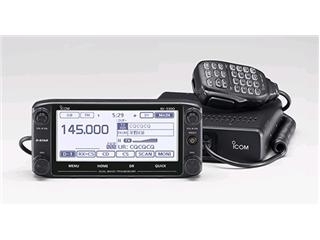 Pricing reflected on the HAMRADIO.COM Ecommerce web site are our current offerings and include a majority of manufacturers coupons, special offerings, rebates, etc. Prices are subject to change without notice or obligation to the customer. Great care is taken to insure the accuracy of our catalog and our Ecommerce Web site. It is our policy to satisfy every customer however, we cannot honor typographical errors in our catalog or on our Ecommerce Web site.. If anything is missing from your order, please search through all packing materials as occasionally the smaller parts may be hidden in the package. If the item is not found, notify Ham Radio Outlet at once. If you notify Ham Radio Outlet within 10 days, we will gladly replace lost or damaged items. Defective items may be returned for an exchange, return or upgrade within 10 days of the purchase date. Non-defective items returned within 10 days for credit or refund will be subject to a minimum 15% re-stocking fee. Special order items, cut cables, software and books are non-returnable. All return freight charges are the responsibility of the customer. Ham Radio Outlet supports all manufacturers' warranties. Most products will carry a 1-year warranty and actual warranty terms are included with most items. If needed, you may request free manufacturer's copy of the written terms for any specific warranted product. Most manufactures require a copy of the original sales receipt to process the repair of in-warranty items. Please retain your receipt should warranty repair be required. 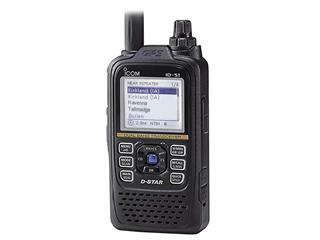 If you misplace or lose the original, Ham Radio Outlet will gladly reprint the appropriate document and assist you in expediting the warranty repair. When returning equipment for repair, please pack the item in its original packing material or something similar to provide adequate protection during the shipping process. Please note on box;"ATTENTION WARRANTY SERVICE". Include a copy of your purchase invoice, and a complete and detailed description of the problem. Without the invoice or a complete description, potential delays will be experienced in providing the proper service and in returning the item to you. It is highly recommended to insure the package for its replacement cost. Ham Radio Outlet will arrange for repair or replacement (with-in 10 days of purchase) of a defective item. If the item is found to be defective under the terms of the manufacturer's warranty, no charge will be made for service or return shipping within the Continental United States of America. We are the only dealer in the United States to offer this level of service. It is the customer's responsibility to ship all defective items to Ham Radio Outlet or the manufactures service center for warranty repair. International customers, please read international ordering information for details about warranties outside the United States. Ham Radio Outlet prides itself in its ability to service our customers. If there is a problem please contact the manager of the store from which you purchased the merchandise. If for some reason, your problem cannot be corrected by that Store Manager, National Sales Manager or our National Operations Manager will see that your problem is satisfactorily resolved.